The Pakayak Bluefin 14 has six pieces that secure to each other with very strong but easy to use clamps. 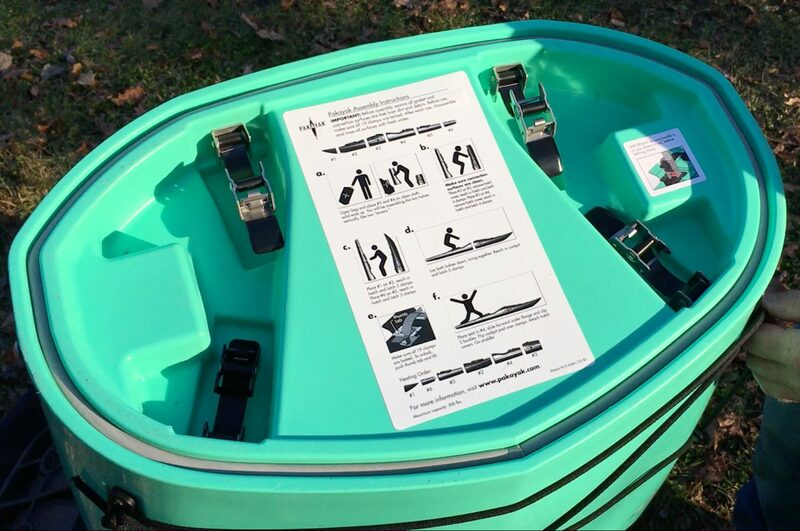 There are two watertight hatches to stow your stuff and deck rigging to carry more items. There are two handles and multiple reflective safety lines. The boat is rudder-ready and the cockpit will take a standard spray skirt. Check out our FAQs page for more information on both the rudder and spray skirt. Here are a few to get you started. Check out our youtube channel for more videos. 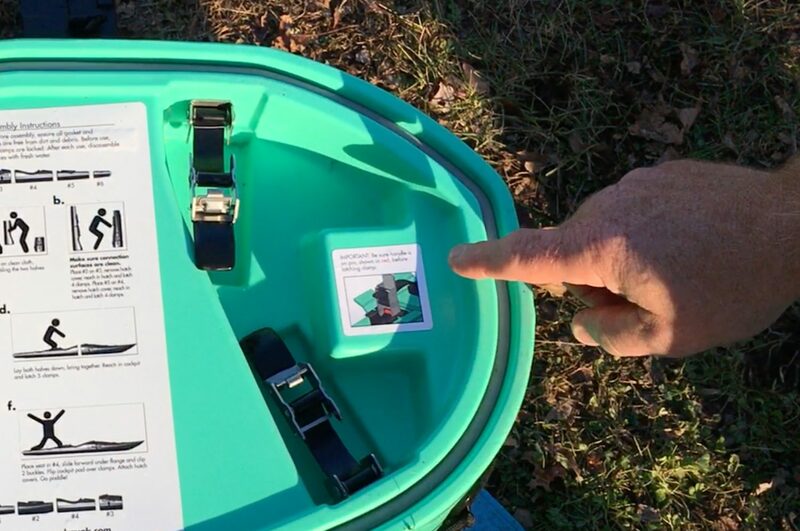 You’ll probably not need them after assembling your boat just once, but if you do, as you unzip the bag and flip it back to expose the Pakayak parts, right there on the bulkhead, you’ll see a sticker with assembly instructions staring up at you. When you engage the clamp, make sure the clamp has grabbed ahold of the metal pin. You’ll see a smaller sticker to the right of the assembly instruction sticker illustrating this. Superior Performance. Ultimate Convenience. Zero Compromises. Two watertight hatches keep your stuff dry. Sturdy watertight bulkheads keep you afloat. Handles in front and back. Bombproof clamps & silicone gaskets keep it all together. Front and back deck rigging to hold more stuff. Foam seat, adjustable foot pegs and seat back make for a comfortable ride.